Empire Pencil Company was founded in 1900 in Shelbyville, TN (aka Pencil City), and 46 years later it merged with Providence Pencil Company. It was around this time that brothers Merril and Harold Hassenfeld — Providence natives whose family owned a little toy maker by the name of Hasbro ("Hassenfeld brothers") — acquired Empire. In 1943, according to encyclopedia.com, "Hassenfeld's father placed his sons to lead the company's divisions. Merrill was put in charge of toys, while his brother Harold, headed pencils." Harold moved to Tennessee to run Empire, and in 1980 it was spun off as a stand-alone company. At that time it was the largest pencil manufacturer in the U.S., while Hasbro was struggling financially. In 1986 Empire merged with Connecticut-based Berol to form Empire/Berol Corp, and Harold continued as chairman of the board until his retirement in 1988. 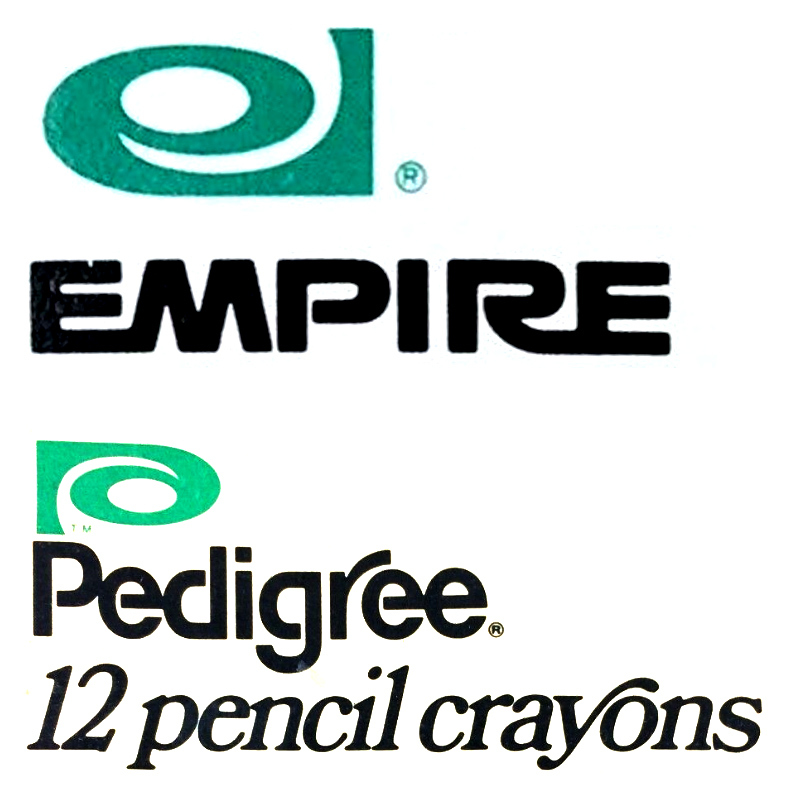 Interestingly, around this time the company produced the Pedigree brand of colored pencils using the same logo, just flipped upside down. In the mid-90s Empire/Berol merged with Sanford Corp., which is today a division of Newell Brands. For more on the Hassenfeld brothers’ influence over the worldwide pencil industry, see: Jerusalem Pencil Co.